As the Healing Through Christ program in Michigan matures, it is finally going to become a community-based program, rather than one sponsored by the stakes of The Church of Jesus Christ of Latter-day Saints. This is similar to the way Healing Through Christ functions in Utah and other places throughout the country and the world. Because of these changes, we will be using new phone numbers and may relocate some of our meetings. We hope to keep changes to a minimum so we don’t interfere with the support and success that participants experience as they continue to find hope and healing through Christ at their 12-Step meetings. While some Family Support meetings in Michigan are transitioning to using Family Services’ finalized Family and Spouse Support Program, many of our participants want to continue to work the 12 Steps. To accommodate their needs, most of our scheduled Healing Through Christ meetings will continue, with their current leaders becoming community volunteers for the Healing Through Christ programs in Michigan. The Family and Spouse Support Program and the Healing Through Christ 12-Step program may play different roles in recovery, and we encourage you to attend whichever best serves your needs. This website will no longer be affiliated with the Kalamazoo, MI Stake, but will now become an independent website for Healing Through Christ meetings in Michigan. We will update meeting phone numbers, meeting locations, and other information here. We will also continue to share stories of recovery, and we encourage you to share your stories with us, through thearborkalamazoo@gmail.com. If you are looking for information on ARP, PARG, and SFSG meetings, we refer you to the LDS Addiction Recovery website, using the Find A Meeting function, at http://www.addictionrecovery.lds.org. 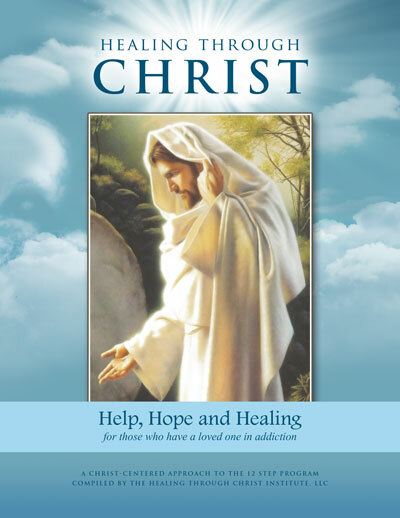 Thank you for your support and interest in Healing Through Christ meetings. Please continue to share your invitations, at church and in the community, to come to a Healing Through Christ meeting and find Hope in Christ through working the 12 Steps of recovery.